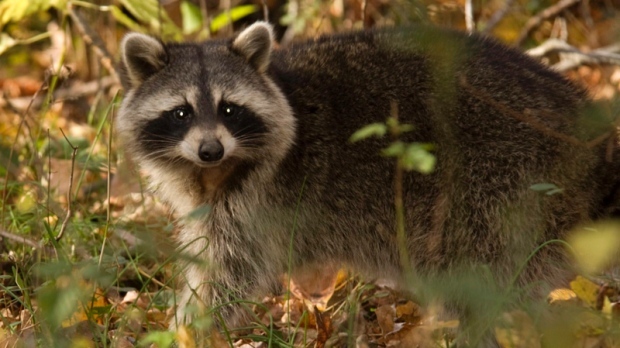 HAMILTON -- Ontario's Ministry of Natural Resources and Forestry says there are two new cases of raccoon rabies in Hamilton, bringing the total to 12 in the city. Chris Davies, head of wildlife research with the ministry, says the cases were officially diagnosed on Tuesday. He says the ministry has dropped about 220,000 raccoon baits in the area in a bid to quash the outbreak. He says there are no plans to drop additional baits, since raccoons have gone to their dens for the winter and are unlikely to eat them. Davies says the ministry will continue its enhanced surveillance of the area in the meantime. Raccoon rabies hasn't been seen in Ontario since 2005 and its re-emergence in early December only came to light after two dogs got into a fight with a sick raccoon in the back of an animal services van. That raccoon tested positive for rabies and the dogs are healthy after being inoculated against the virus, but remain in quarantine.